Outdoor meetings with friends are a lot of fun. It is even nicer when a trip with friends to the beach, meeting with buddies on a skatepark or a romantic picnic with a girl is accompanied by the sounds of your favorite music. 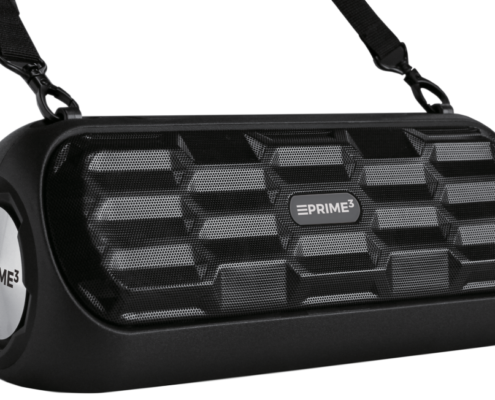 In such a situation, the “RAGE” ABT70 portable speaker by PRIME3 will definitely live up to your expectations. “RAGE”, thanks to the Bluetooth module, has the ability to wirelessly play music from all devices equipped with the same technology. We can easily pair it with a phone, tablet or laptop and make it the life and soul of the party. 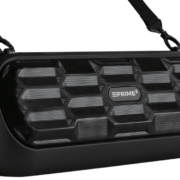 Reliable loudspeaker, with a high power of 1600 W P.M.P.O (50 W total power), offers a clean and crisp sound, which in combination with deep bass (Dual Bass System) will surely command the respect of your companions. The ABT70 model has a number of additional functions that allow you to listen to music from various sources. USB port and microSD card slot (up to 32 GB) allow you to play sounds stored on USB memory sticks and SD cards. However, the AUX mini jack input allows you to connect all wired audio sources to the loudspeaker, such as a computer, MP3 player or a hi-fi tower. “RAGE” is also equipped with an FM tuner with the possibility of memorizing the frequencies of radio stations selected by us. Thanks to such a solution, we can listen to our favorite radio station whenever we have the desire to do so without having to search it every time. Built-in rechargeable battery with a capacity of 4500 mAh guarantees a full mobility of the ABT70 loudspeaker. Such a large battery lets us listen to the music for up to 6 hours. Practical strap made of strong material provides convenient and safe transfer of the loudspeaker. RAGE” is characterized by contemporary design. The black casing with a metal grill, profiled in fashionable geometric patterns, will surely appeal to everyone who appreciates not only the excellent sound quality, but also aesthetics and extraordinary shapes. 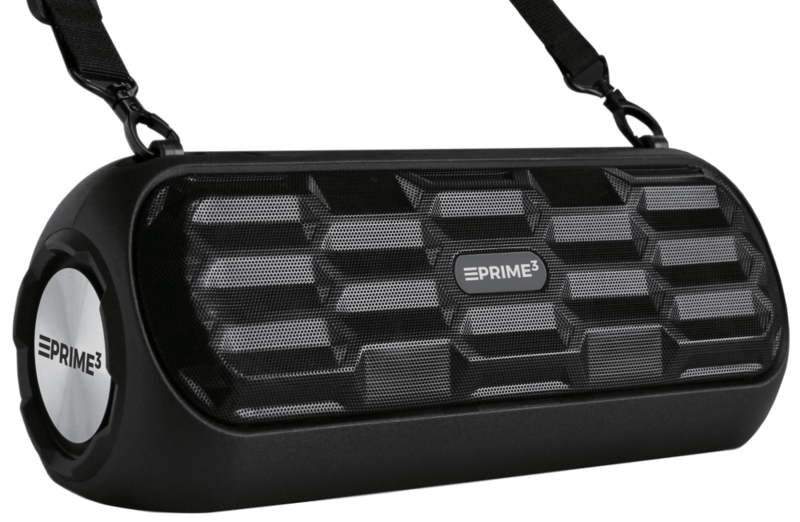 Portable speaker “RAGE” ABT70 is a great party companion. It works great both on the trip, in the training room, as well as outdoors – at the picnic, in the backyard garden or on the beach.